As Registered Master Painters, the smart and professional Kapiti Colour team can take care of any job, large or small. We are proud of the premium painting service we offer. Our attention to detail and willingness to go above and beyond is what makes us stand out – and what achieves the painting results you're looking for. We listen to people; we're respectful of their homes or commercial spaces. Our top-notch communication skills mean we work extremely well with builders and other trades to complete your project in a timely and efficient manner. 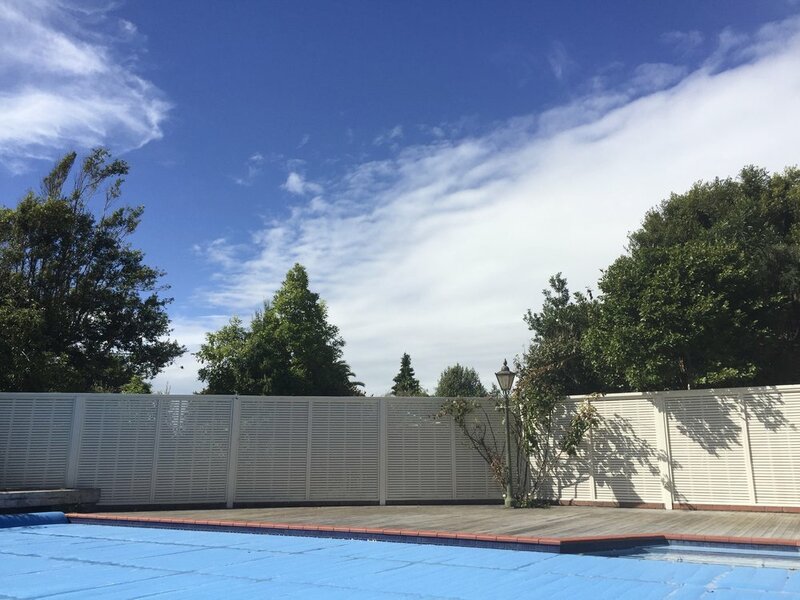 Kapiti Colour is available for painting projects across the Kapiti Coast and Horowhenua. We work with Resene paints for a high-quality result – and our Facebook page reviews reflect our many happy customers. We look forward to working with you. Kapiti Colour is based on the beautiful Kapiti Coast. We service local business and private clients across the region from Levin, Paraparaumu, Paekakariki, down to Pukerua Bay. What do we paint? We provide a premium painting service that covers interior and exterior painting for commercial, residential and retail. We undertake new-build work and large renovation projects, everything from retirement villages to large commercial units and retail shop fits. Let us know if you are looking to upgrade the entire paint job or whether it is just a refresh. If you have a large project planned, we work with a wide variety of local builders and plumbing companies. We cover full house repaints, both interior and exterior. Or we can take care of single room repaints, kitchen upgrades and bathroom renovations. We choose to work closely alongside Resene and Master Painters using a trusted process. This makes sure the best outcomes can be achieved by using the right products for the right substrates and environments they are located in. This in turn gives our customers the security of having a reliable process that achieves a high-quality end result. Ensuring the safety, health and wellbeing of everyone involved with or affected by our work is part of our induction and staff training, and we talk about it every day. We are respectful of the homes and workplaces we paint, because keeping people safe and maintaining a clean environment for our customers and team is part of our service. Health and safety is woven into everything we do. At Kapiti Colour, we don't just have safety rules that we make our team and others comply with – we are actively engaged with ensuring the health and safety of our customers and staff at all times. With the team climbing scaffolding or carrying heavy objects, with our customers needing to live in their homes or continue working in commercial sites during the project, we make sure that our painters are thinking safety first – all the time. We bring together a solid background of painting experience. Our team offers an excellent all-round skill-base – from specialising in new builds, commercial work and traditional residential work such as villas, to contemporary builds and the latest paints, tools and techniques. The team is built around long-term, experienced painters and ranges from trade-certified painters to include the youngest and keenest apprentices. Tommy works closely with project managers and the painting team to oversee and progress your project, ensuring the standard of work is consistently high. Georgia works with Tommy, the team and our clients by delivering office support, customer service and all administration. Andrew has had a long career in the painting industry. He has a genuine passion for painting and providing great customer service. Johnny brings energy and a wealth of knowledge from his background working in new builds and commercial painting. As well as providing a great painting service to our customers, we think Kapiti Colour is a great business to work for too. We are extremely proactive about bringing new team members into the painting trade and developing them to become skilled professionals who take pride in themselves and their work. We are always keen to hear from forward-thinking painters looking to grow their careers or who are seeking new opportunities within a progressive painting company. Have a look at these opportunities. Want to work in Kapiti? Tired of the commute into Wellington?! Due to expansion we are seeking talented painters, who want long-term stability within a company that cares about its people. Kapiti Colour are registered Master Painters. We provide a professional, high quality and a superior level of service for all of our clients. It is at the heart of our company. Painters with at least 3 years trade experience. Pride yourself on delivering high quality finishes, with exceptional attention paid to detail being an absolute must. Professional, polite and well presented. Must be a team player, no inflated egos thanks! You must have the ability to run jobs and lead your own team. Company vehicle & fuel card. Guaranteed 40 hours (minimum) a week, PAYE & KiwiSaver. Low commute times — we work locally! Long term career development with room to grow. A great team culture, we promote personal development and provide a positive working environment. We have maintenance contracts, undertake large residential renovations and new-build work. Send us a message to find out about joining the Kapiti Colour team and making the next move in your painting career.